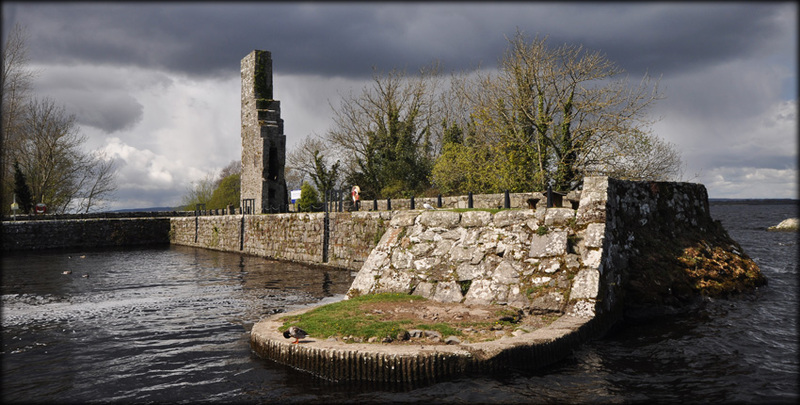 Garrykennedy Castle was built in the late 15th century on the banks of Lough Derg by the O'Kennedy and the O'Brien Clans. The Tower House was badly damaged by Cromwellian troops in the mid 17th century. Some stones from the rubble of the castle may have been used in the building of a new harbour in 1857. This is a gorgeous harbour with a modern marina to the east. There may not be much left of the castle but it is still a beautiful place to stop and relax, maybe even take a picnic. 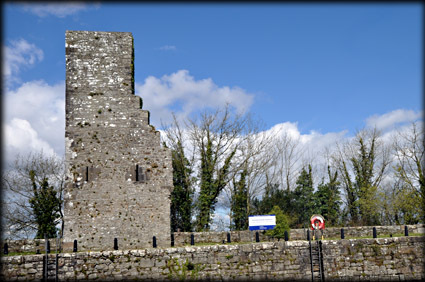 Situated: Very easy, from Nenagh take the R494 west to Portroe then turn right for Garrykennedy. Discovery Map 59: R 7673 8389. Last visit April 2012.